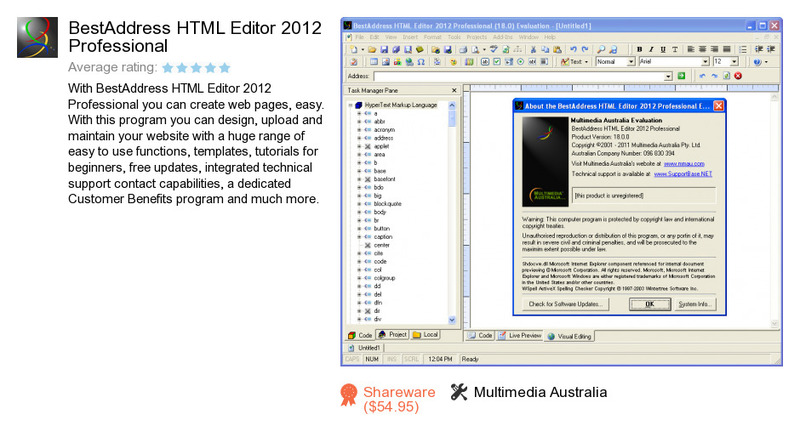 BestAddress HTML Editor 2012 Professional is an application developed by Multimedia Australia. We know of version 18.0. Version 18.0 is available for free download at our site. BestAddress HTML Editor 2012 Professional installation package has a size of 7,367,274 bytes. Multimedia Australia also publishes Aurora Web Editor 2008 Professional and PageLock Website Copy Protection.